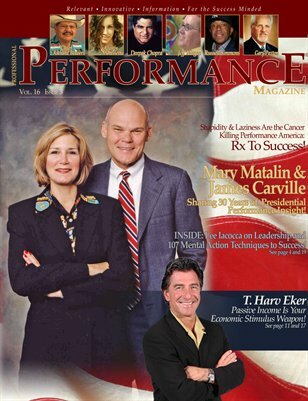 The Fall 2008 issue of Performance Magazine features Mary Matalin & James Carville on getting involved in your local political race and why it's important! Also featuring Seminole Chief Richard Bowers and auto industry legend Lee Iacocca! Look for special interviews as well with Russell Simmons and Alanis Morissette!